Welcome to www.bashthemonkey.com, the home of irrelevances and merriment, a world of sensual pleasures you have only dared dream about and more tempting than Pandora's Box (lucky Pandora). This is the home of the ultimate movie quote quiz, dodgy film reviews, movie trivia and various other gibberish. Please feel free to browse, but any breakages must be paid for. Speaking of getting paid, a new section, The Store, has been added with just a few items for the disconcerting shopper. First off, instructions for the dim witted, use the menu above to be taken to various joys. If you don't see a menu then make sure your active content is enabled. This site is updated every few days so, don't be a stranger and pop back anytime. Remember to bookmark this page now! 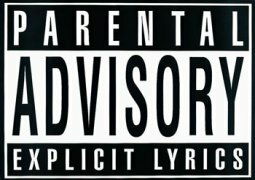 There is a Parental Advisory warning - so you young 'uns keep out!